We will be doing some extra ordinary activities during this sermon series. We want you to be able to participate. All of our communication for our projects will be via our church app. Below is how you get set up. You've probably already done this. 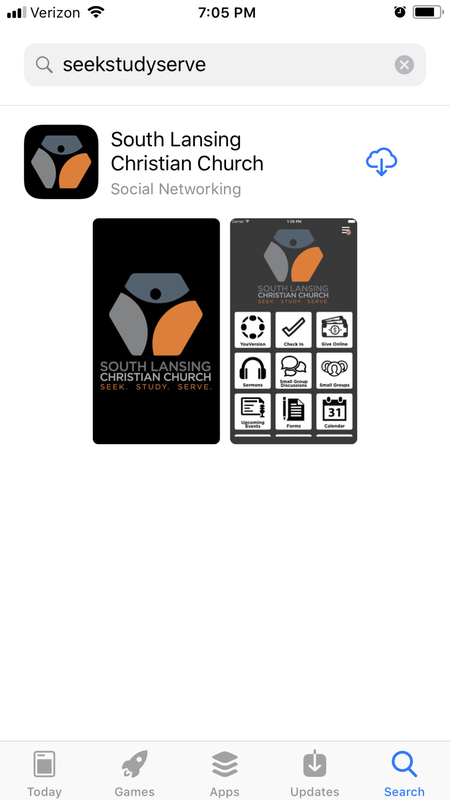 If you haven't, search for seekstudyserve or South Lansing Christian Church in the Google Play store or the Apple App store. Or, simply click this link on your mobile device and then on the applicable OS software. When you first open the app you will be asked about notifications. Please leave notifications on. We promise not to send too many notifications to your phone. Then click Update Profile at the Bottom. On the profile page, click on My Interests at the bottom. A new page will open. make sure there is a green checkmark beside Blessing Project--its the only thing in interests at the moment. You are all set! Thanks for signing up. We are looking forward to doing great things with you during this series!